Hi friends! Sorry I've been gone for a hot second but that's life. Speaking of which, as a programming note, I've decided that at least for now I'm only going to put up a new post on Mondays instead of M/W/F. Just because I don't want to be posting for the sake of posts and end up making this blog oversaturated with too many posts that a 0L wouldn't have time to read before starting law school. Plus, now that school has started obviously y'all are busy busy so I'm assuming that no one will view this as an absolute tragedy. Anyways, back to the purpose of today's post. I know a good majority of y'all have recently taken the LSAT and either have your scores back already or are currently waiting on that, and another good chunk of y'all are gearing up for an upcoming LSAT. I always get asked about LSAT advice so let me just forewarn you that while I consider this some of my honest advice about the LSAT, don't get too hyped thinking that I'm going to magically make logic games easy for you in this post. Now that I've actually graduated from law school and taken the Bar, I've had some time to reflect back on the LSAT. So grab some wine (I'm one step ahead of you), because I have some truths about the LSAT that I think need to be told. I truly love Legally Blonde and will probably never get tired of the movie, but the one thing it get's wrong (besides alcohol being allowed so casually at a sorority house) is the LSAT. Elle studies for a few weeks and brings her grade up to a 179. Let me tell you right now that a 179 is dang near impossible to get. Heck, even the guy who created LawSchooli.com even brags about getting a 172, which is also really hard to get. I mean really even in the 160 range is a struggle for almost everyone. 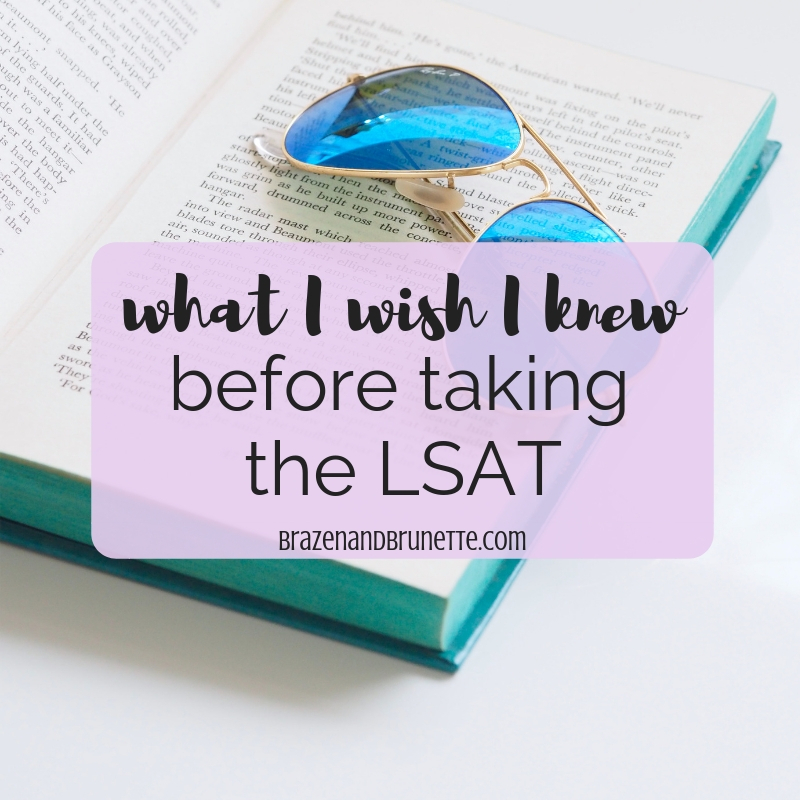 I don't say this to be a Debbie Downer, but to prepare any of you who haven't taken the LSAT yet (if you have, don't stop reading yet because the rest of this post is for you too). I say this because I underestimated the LSAT and got a rude wake up call. It takes more studying than just squeezing in time in the evenings and weekends. Oh, and don't fall into the whole "I'm sure I'll do better on the real test than I have been on practice tests because it'll be go-time that day" mentality. Truth is, you've probably put a ton of weight on this test which will add some test anxiety and from literally everyone I've ever talked to about the LSAT has told me that it was harder than their practice tests, even the old official LSATs they've taken. I don't want to stress you out more than you already are, but I do think it's my job to help you go in to this thing with realistic goals in mind. I'll admit that I do agree that the LSAT/GPA combo is what gets you through some major "cuts" with the admissions committees. And it does make sense when people mention how it takes 4 years to earn a GPA but only 4 hours to earn an LSAT score, so it makes sense to push really hard for something there at the end. But that's all it is. I see so much emphasis and unnecessary stress put on it. Remember, all the LSAT does is help you get in to law school. That's it. I've never seen so many companies offering services for things like helping you get your GPA up for law school admissions, helping you find and request rec letters, or helping you brainstorm, draft, and edit your personal statement like there are for the LSAT. Sure, having a good score really can help seal the deal on getting you in to your dream score and save you thousands of dollars through a scholarship, but after that it's all you to keep up the good study habits and keep earning great scores for the next 3 years. Here is an interesting article on the importance of not overthinking or overstudying the LSAT. Okay, yes, there is a correlation between high LSAT scores and law school graduation rates and Bar passage rates so it does show some insight, but not all. I think of the LSAT as a way to test your dedication to studying something you've never even heard of before and trying to figure it out for yourself, which is a lot like what you have to do when you hear the term res judicata for the first time and can't remember how that's different from collateral estoppel (if you don't know what I'm talking about yet just trust that you will soon). But remember, the LSAT is not what you learn in law school. Instead questions like "which of the following is most likely the principal's argument for changing the school's dress code" or "which student received the most books and how many books did he/she receive," you get questions like "explain all relevant legal facts presented in the following story." There are literally no laws to learn for the LSAT and literally all you learn in law school are laws (surprise! ), so it's just not a fair prediction. Look I'll just say this, I personally know people who scored really well on the LSAT and did average in law school, people who scored average on the LSAT and did really well in law school, and obviously the people who did great in both because they're just really, really, really good looking smart. Why all the different outcomes? Because LSAT ≠ law school. *Obviously the Dean of Admissions is interested in this and yes, during orientation and the first few weeks of law school it's common for 1L's to brag about their score or use it as a measuring stick ("the girl next to me got a 165 so I bet she'll get the A in our class"). But by the second semester of 1L and for the rest of law school, you'll have a much more accurate measuring stick, grades and rank. I mean, getting a 172 means nothing if you never learned the difference between intentional and negligent torts, got half the questions wrong on your final, and are sitting at a C- in torts. Literally I have never heard of 2Ls or 3Ls talking about their own or classmate's scores because that's just not important anymore. Oh, and your professors won't know nor care what you scored and no hiring lawyer really gives a damn either. So if you got an amazing score, don't waste too much time bragging and if you got a terrible score, don't waste too much time being embarrassed. All that score does is help you get in to law school. And like I just mentioned above, by week 3 of law school it won't matter what you scored at all. First off, I'd like to use my personal story as an option for those of you who just can't seem to get your score up. LSAT companies will tell you that you have to get a great LSAT or your dream school is out of the question. Not necessarily true. Sure maybe you won't get to go there your first year but a do-able workaround is to work hard your first year and then transfer and graduate from your dream school. I understand this isn't necessarily feasible for absolutely everyone, but it definitely is a legitimate option. Second, LSAT companies will tell your only two options are get a great LSAT score and go to a high ranked school with a scholarship so you can graduate debt-free with a $100k/year starting offer, or just not go to law school at all. Yes, you probably will have to take on debt if you don't get a 180, and yeah you might not get accepted into a school that is known for it's grads getting high-paying jobs right off the bat, but that's okay! Everyone (even the LSAT companies) will tell you not to go to law school unless you want to be a lawyer and don't go to law school just to be rich, but then the LSAT companies tell you that if you can't be rich by 30 don't even bother going to law school/it'd be a waste of time and money. My favorite rebuttal to this is a story I heard my 2L year at Tech about a lawyer who graduated from my 1L school St. Mary's (here's a story on him). He barely got in to a lower-ranked law school, graduated at the bottom of his class, took several attempts to even pass the Bar and even then it was only by 1 point, but guess what. Now he's a successful prosecutor doing what he loves! Isn't that the end goal?? 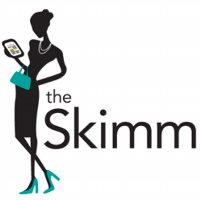 You don't have to end up with the big fancy office and money like Harvey Spectre in Suits to be "successful." Okay I'm going to get off my soap box now, but I really do wish I would've known and thought about these things before I took the LSAT. If anything, I just wish I would've put it in to perspective and acknowledged how hard it is but also how it shouldn't be put on this pedestal. If you're studying for the LSAT, my biggest advice is pay attention to what does and doesn't work for you. Figuring this out won't only help you get a great LSAT score, but it will lead to you getting a better law school GPA and eventually when you have to take the BAR. This was super inspiring! The LSAT always seemed like a really intimidating test, and it's nice to know that your future isn't determined by it. Thanks for this! Oh I agree Ashley! It seems like such an intimidating test the entire time you're studying for it, taking it, and waiting for you results, but then after a year or two of law school I realized that it's really not that big of deal haha. Hi, 2L here! I completely agree with the section: "The LSAT isn't that important." I two the LSAT twice, and scored a 149 and then a 153. Despite these "sub-par" scores, I still got into a T14 law school. Study for the LSAT thoroughly, but take it and then move on! Should You Have a Job While in Law School?